If you’ve heard anything about juggalos, you may have heard that they paint their faces like clowns – or maybe, that they don’t get how magnets work. From the outside, the rabid fans of Insane Clown Posse seem incomprehensible. But once you get to know them, the logic of juggalo culture starts to reveal itself. 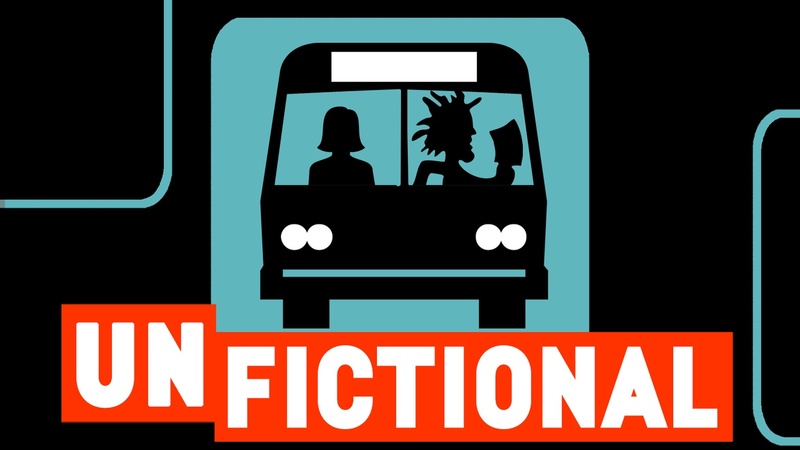 Producer Carla Green took a bus trip across the country with a juggalo – and learned some things about the people who sometimes call themselves the most hated family in the world. 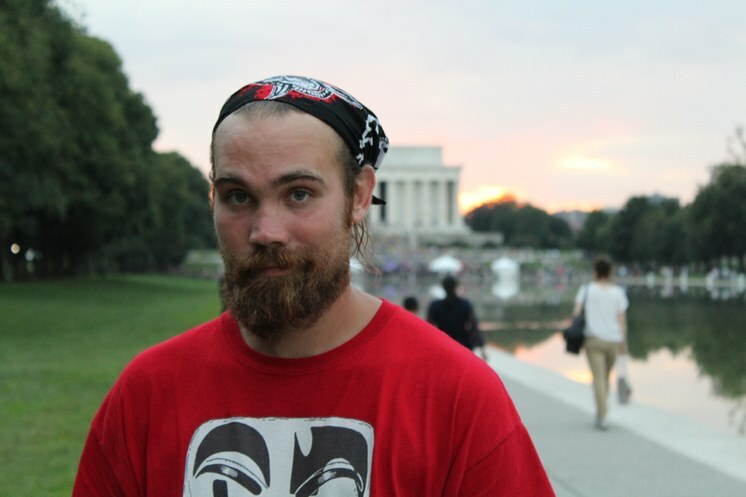 Roger Tedi has been a juggalo since he was a teenager, and went to the Juggalo March on Washington in 2017. Photo credit: Woodrow Currie. 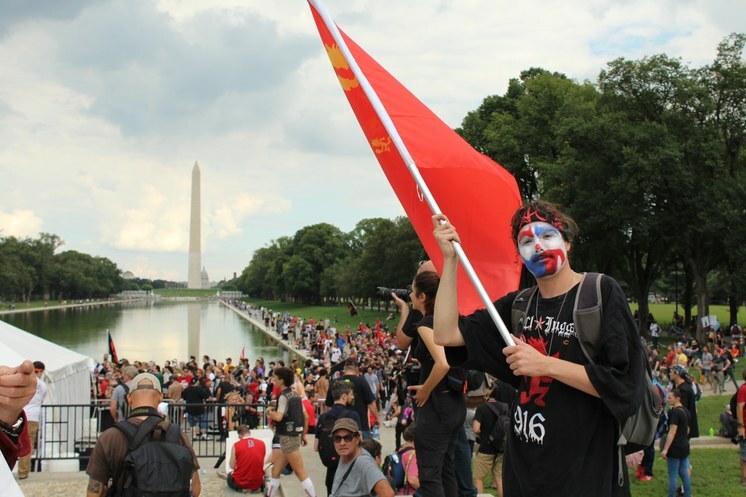 A juggalo at the Juggalo March on Washington in 2017. Photo credit: Woodrow Currie. 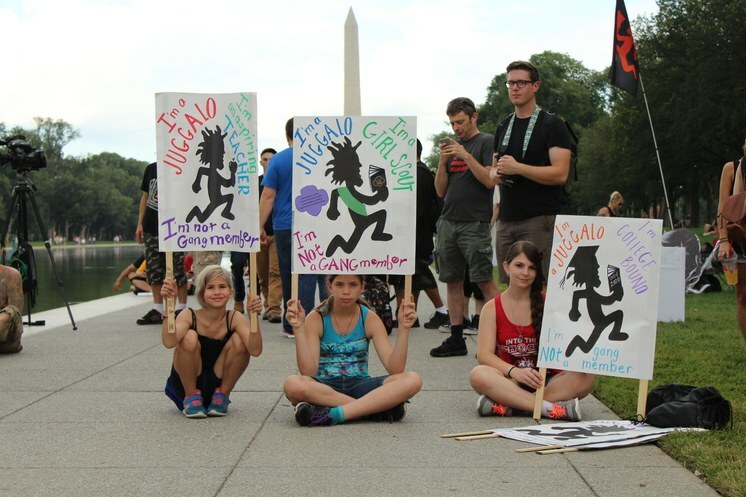 Children at the Juggalo March on Washington in 2017. Photo credit: Woodrow Currie. One juggalo applying face paint to another at the Juggalo March on Washington in 2017. Photo by Woodrow Currie. 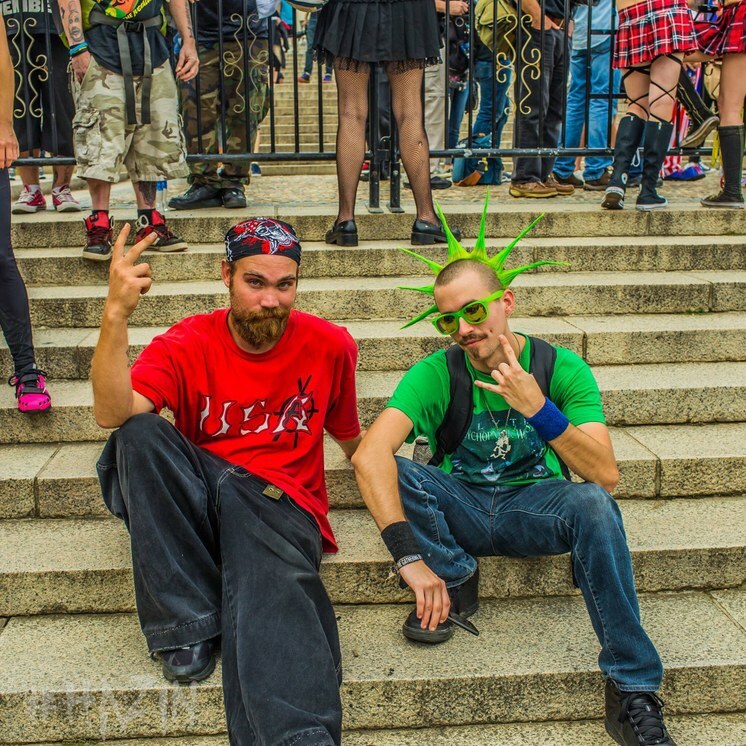 Roger Tedi (left) with Jake Jones (AKA Sidehawk Ninja) on the steps of the Lincoln Memorial at the Juggalo March on Washington in 2017. Photo credit: Hazin of Juggalo News. 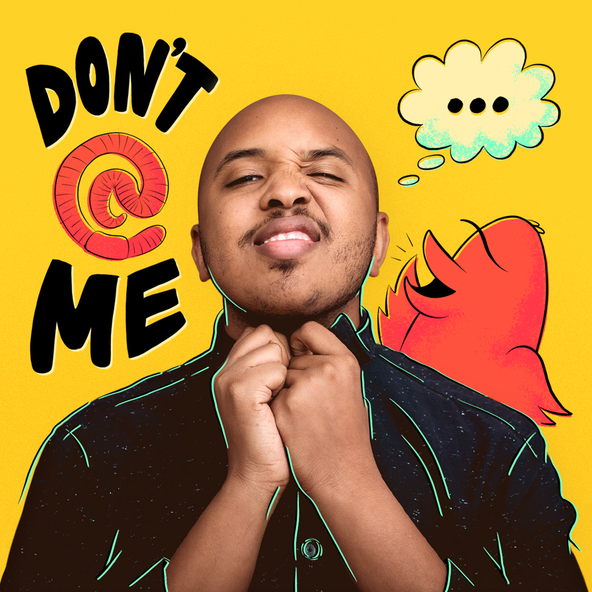 Roger Tedi is a cannabis enthusiast, journalist and news personality also known as Bagz. He is the owner of a Majik Ninja Entertainment/Metal Music news source called Twiztid Flavor, manages The Mid-West Juggalo World Order, promotes for Legendary Hip Hop artist Kung Fu Vampire and has been an independent contractor for festivals and sporting events nationwide since 2011. You can find out more about Struggalo Circus on their Facebook page. Since the march, the group has focused its efforts on homeless outreach in the Bay Area. Special thanks to Frank Green, Aliya Pabani, Woodrow Currie, Paulina Velasco, and Derek Spencer.